you’ll see [me sailing in antarctica] explores the way we look and the way we see. Visions past, present and future are brought to the table – some things could never live up to our imagination, and some are better than we could ever believe. Between you and the others here, you’ve seen so many things, and you’ll see so many more. But can anyone ever see the way you do? 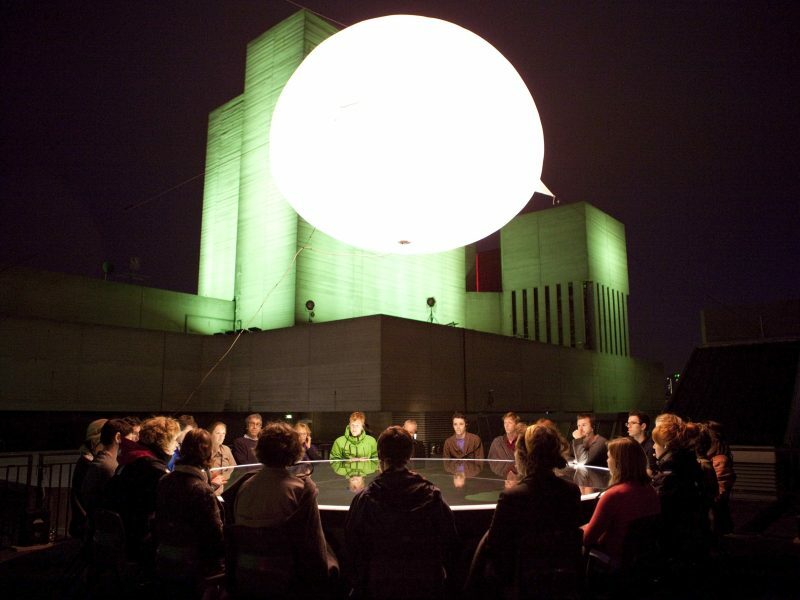 On the roof of the National Theatre, 19 participants and five performers sit down together around a 4-metre diameter round table, which is mirrored to reflect the open sky above. 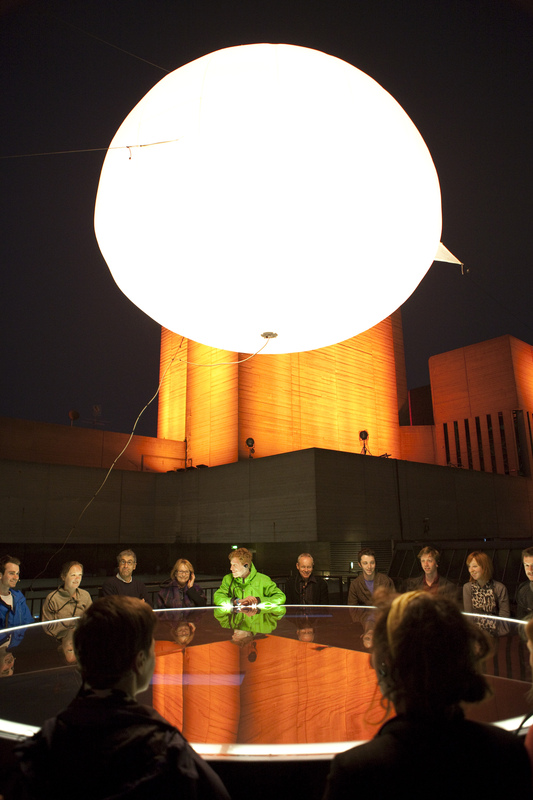 Communicating with each other face-to-face, aided by single earpieces and boom microphones, participants are invited to look into their pasts, scrutinise their present and imagine their futures. 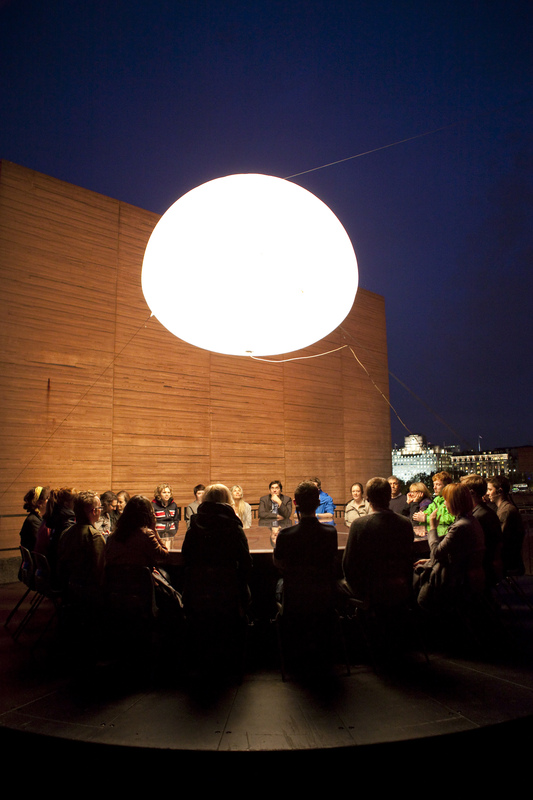 Nothing is being broadcast – what happens on the roof stays on the roof, and participants can share as much or as little as they like. 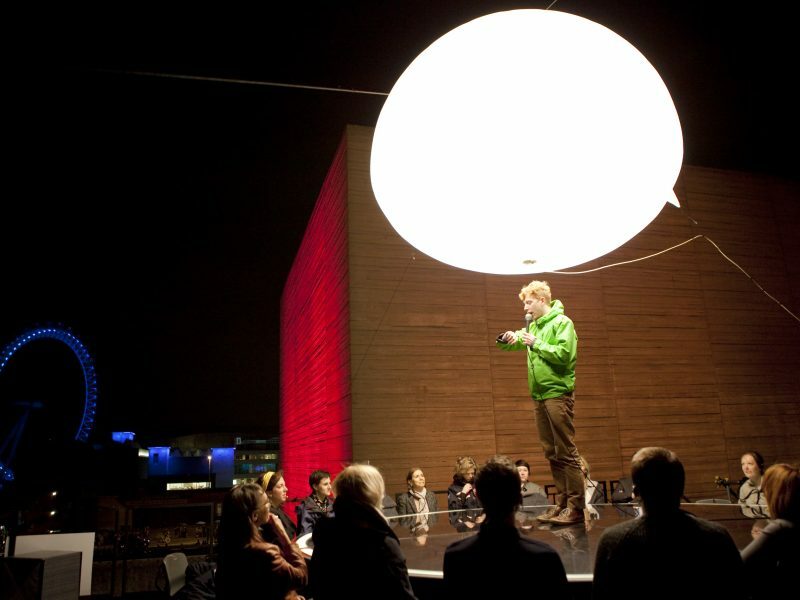 A lyrical look at the science behind human perception, you’ll see [me sailing in antarctica] mixes fact and fantasy through performance lecture, surround sound, hidden televisions and sweeping panoramic views of the London skyline. Visual reasoning tests are carried out, eye muscles are exercised and someone runs around backstage with a camera strapped to their head. 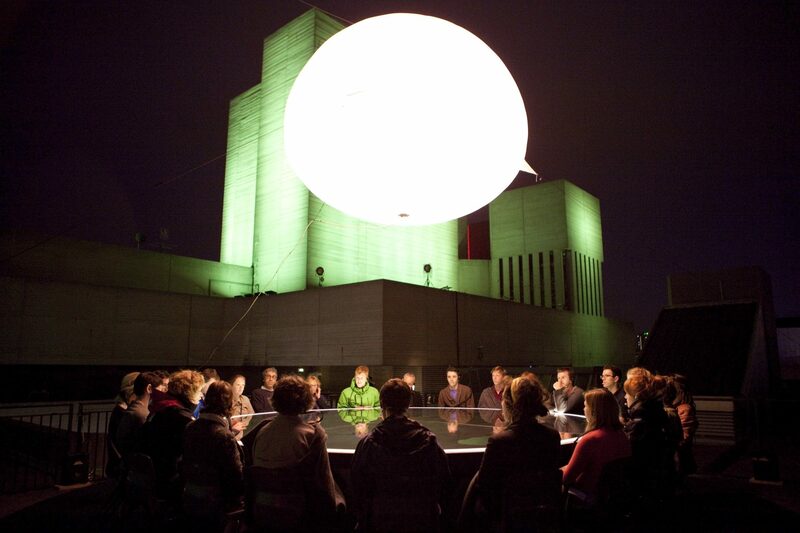 Illuminated by a giant spherical air balloon floating overhead, the roof itself is part of the show, with the massive flytowers changing colour on cue and blistering strobes forming part of a big finale (lighting design by Sean Gleason). The sound design, with score co-composed by James Bulley and Sami El-Enany, incorporates an eight-channel surround system with generative music and live sampling, to ensure a unique soundscape for every performance. 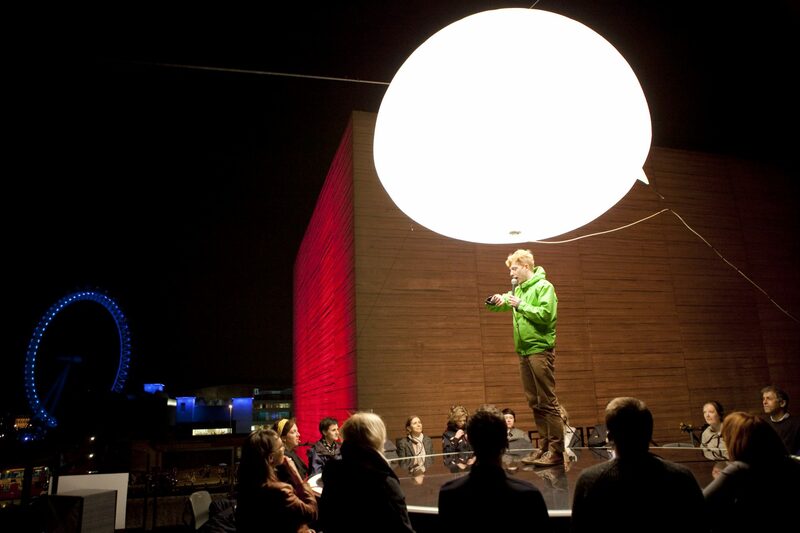 you’ll see [me sailing in antarctica] was commissioned by the National Theatre as part of National Theatre Inside Out, a festival to coincide with the Queen’s Diamond Jubilee and the London 2012 Olympics and Paralympics. 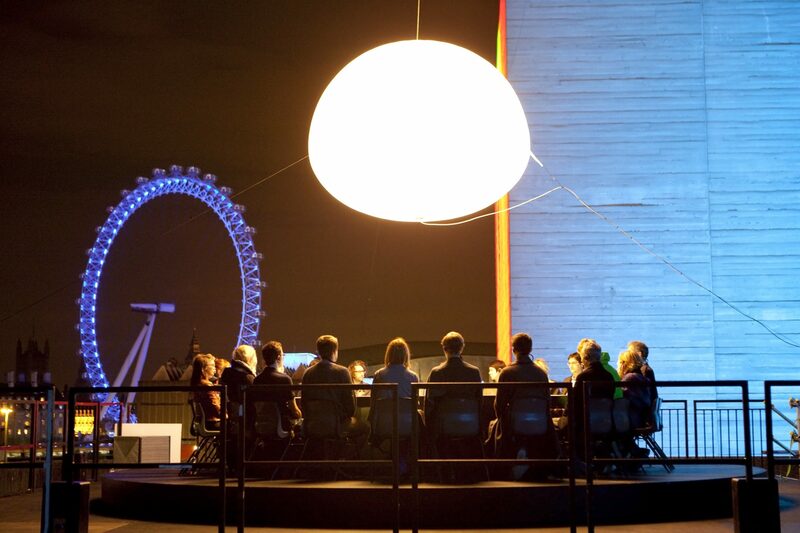 The hour-long show played in a secret rooftop location for an extended run from 6-20 July 2012 at National Theatre. you’ll see [me sailing in antarctica] was nominated for an Offie Award 2012 and featured in Grazia Magazine’s 10 Hot Things To See This Week (9 July 2012 issue). Costumes provided by Helly Hansen. Image credit: Ludo des Cognets. you'll see [me sailing in antarctica] at the National Theatre, July 2012 from non zero one on Vimeo.